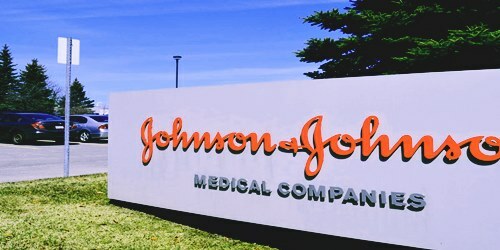 The pharmaceutical giant Johnson & Johnson has reportedly entered into a collaboration with Bristol-Myers Squibb for the development and commercialization of Factor XIa inhibitors. The deal also provides a major stake to J&J in the development of BMS-986177 which is being prepared as a preventive drug for major thrombotic conditions. The agreement states that Johnson & Johnson and Bristol-Myers Squibb will be advancing BMS-986177 into Phase 2 of clinical trials and establishing a comprehensive development program. The commercial profits or losses as well as the cost of development will be shared between the companies. Additional terms of the agreement were not disclosed. The companies commented that the development of next generation of anticoagulants such as oral anticoagulants has been an important step in the treatment of thrombosis. The goal of next generation anticoagulants is to substantially lower the risk of bleeding while upholding the level and efficiency of care provided by current anticoagulants. FXla inhibition has proved through early clinical trials that it is capable of lowering risk of thrombosis and bringing down risk of bleeding when compared to currently available therapies. With BMS-986177, Bristol-Myers has run several early-phase trials on patients with renal disease as well as healthy volunteers. The clinical trials have prepared BMS-986177 to move forward in the indication of secondary stroke prevention. The Phase 2 trial of BMS-986177 will start in the latter half of 2018 and will be tested on patients who have previously suffered a stroke. Bristol-Myers and Johnson & Johnson are optimistic about potential application of BMS-986177 in coronary artery disease and peripheral artery as well. The head of cardiovascular development at Bristol-Myers, Christoph Koenen has been reported to say that BMS has been enthusiastic about finding a partner for BMS-986177 asset as it has a whole range of indicators that can be too complicated to develop. Reports cite that Johnson & Johnson’s expertise in both the fields of anticoagulation and cardiovascular disease has made Bristol-Myers highly confident of the partnership’s success.